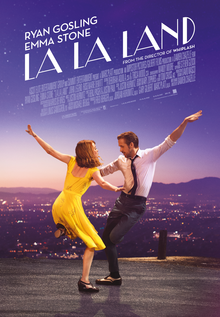 More disappointing than Trump’s election and a greater betrayal than the passing of Brexit is the fact that the world somehow tricked me into thinking I might actually enjoy a light-hearted, romantic-musical starring Ryan Gosling. The trailer had irked me but the hype, awards and opinions of everyone else compelled me to go into this film with not just an open mind but actual positive expectations. On paper it had little going for it, but the brilliance of Whiplash held out the promise of something original and imaginative. 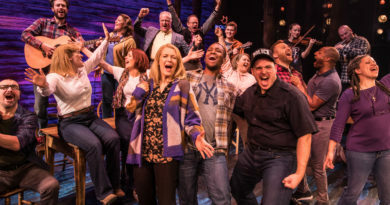 Instead what transpired was a colourful but dull attempt to rediscover the fabricated nostalgia of Hollywood musicals through a modern-take on the boy-meets-girl story. It is a story that rather bluntly fetishises youthful idealism but which offers, as the argument goes, a few sweet hours of starry-eyed escapism for the great unhosed; which would be fine – if it was any good. Somewhere in between the blasts of hyperbolic adulation that have followed this movie wherever it two-steps, you might have heard it nervously murmured that neither of the starring pair are in fact great dancers or singers (which is true); but in terms of the leading man – pardoning his deficiencies as a singer, dancer and musician – are we sure that he can even act? Despite his recent Oscar nod Gosling has again failed to justify his position as one of Hollywood’s marquee names. Whenever he is required to convey the raw anger and frenzied devotion that Chazelle’s characters are quickly becoming known for, it inevitably feels awkwardly contrived and blandly affected. The moments that are supposed to express his angry passion for jazz or his conflicted emotions towards pursuing his dream, replete as they are with table-thumping, voice raising and serious facial-expressions, always seem to fall short of their desired effect. Bland histrionics aside, the real issue with Gosling is that it is becoming impossible to separate the Ryan Gosling as represented in the media from the characters that he is supposed to represent on screen. Every affectation and gesture seems clumsily self-conscious and you start to get the unfortunate impression that underneath the mask of his character, but very close to the surface, there he is – the man himself – peaking out, smug and smirking with a self-satisfied grin. Ironically, Gosling does lethargy quite well (see Half Nelson or The Nice Guys); but unfortunately lethargy is also the principal emotion that he inspires in a lot of his audience. When the movie wants to slow down and become more intimate the camera will hone in on either of the main characters, slowly dimming all the lights around them to darkness until they are only illuminated by the spots that have been placed directly in front of them. This is intended to let the audience know that the next bit is supposed to be emotional and tense and presently significant. It is a fairly lazy and tried technique at creating atmosphere that also acts as a handy emotional cue; tugging ignorantly on flat heart-strings. There are a few too many superfluous shots of RG looking cool while driving around in his old convertible – probably in order to remind us of that good film he was in that one time. The films signature tune City of Stars is regurgitated at every possible opportunity and will be mercilessly stuck in your head for the rest of the day – like a burrowed tic – as you try to remember what song it reminds you of. Long and unnecessary blares from RG’s car horn. He does this any time he arrives to pick up Emma Stone and it sort of becomes a calling card or perhaps a warning that he is about to enter a scene; I think you’re supposed to find it charming, exciting or maybe even a bit romantic but really it just ends up giving you a short, sharp headache. Stone fairs better than Gosling in general. She is a better singer and actor than her male counterpart and importantly she is much more believable when she is required to act out her character’s seemingly spontaneous idiosyncrasies – those little quaint touches that are intended to help us identify with the people on screen and convince us that they are just like us. Apart from the performance of Stone, other positives include the opening and closing sequences. The famous opening sequence which takes place on a grid-locked LA highway impresses due to the great floating camera movement coupled with the intricate choreography and the fact that large chunks of it seem to have been done in one shot. The end sequence however is memorable more for reasons related to the story – reasons that would set off spoiler alarms if they were mentioned here. But in between these two sequences there is very little to make a song and dance about. So if any members of the academy happen to be reading this review you can start to rescind all those Oscar nominations immediately – anyone who thinks differently is in la la land.